Розыгрыш подарочного сертификата в 30$ от магазина Chicnova закончен! 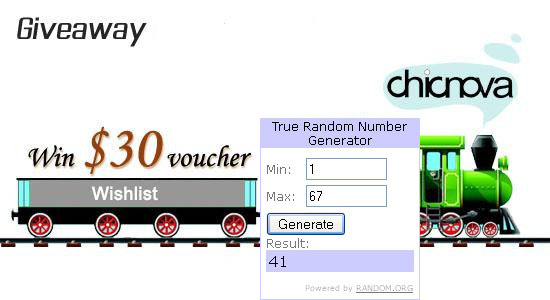 Giveaway with a gift card in the $30 from fashion store Chicnova is over! Yay! congratulation for the winner! Congrats to the giveaway winner! Hope to win your other giveaways Lidia! :) Soon!